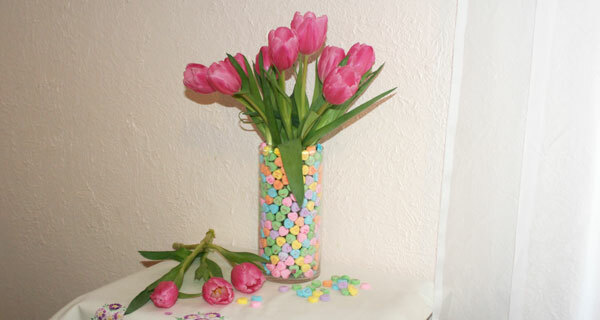 Combine flowers with candy to create an easy, personalized gift for Valentine’s Day that will make any heart swoon. With Halloween just around the corner, put a new twist on “scary” with a ghastly gorgeous Halloween display that focuses on the traditional Jack-o’-lantern. The Valentines rose is the traditional choice for valentine gift-giving, but surveys show other flowers may actually be your beloved’s preferred flower. Cut flowers grow in lots of shapes and sizes in Ecuador. Still, most flower farms there focus on roses. Valleflor fills the gap with its abundant variety of blooms. We continue our series by globe-trotting floral-industry expert, Terry Johnson, on his travels to Ecuador rose grower Fresh Cut in South America. Ecuador rose grower Greenrose Farm emphasizes environmental methods in producing its roses to ensure the flowers, land and workers are cared for. Flowers take an amazing journey to reach your florist. From prepping at the grower in faraway lands through the rigors of customs inspections, they follow a perilous path. Bad customer service can have long-lasting negative consequences for your business when angry customers use social media to share their experience with others. Sending Mothers Day flowers shows mom your appreciation. But it can also show off your shopping skills. These tips help save money and avoid hidden fees. Treat your Mom with one of these stylishly designed Mother’s Day bouquets rather than a box of chocolates that will cost her hours in the gym. Flowers do more than decorate our homes. They improve our lives in profound, mysterious and, perhaps, even life-altering ways with research proving their scientific advantages. Give a high-style look to desserts and cocktails by adding sugar-coated flowers that you can make yourself at home with simple, inexpensive ingredients. Did a hideous Valentine’s Day bouquet leave you frustrated and disillusioned? Learn how to avoid future romantic misfortune and become a savvy floral shopper. Have you bought into the idea that giving flowers to your loved one on Valentine’s Day is simply acquiescing to society’s consumerist expectations? Looking for Halloween party ideas? Here are 9 creative Halloween tips to ensure your Halloween celebration is a ghostly occasion your guests won’t forget.